Some snow, & ice in the canyon. Very cold air temps predicted for this week. 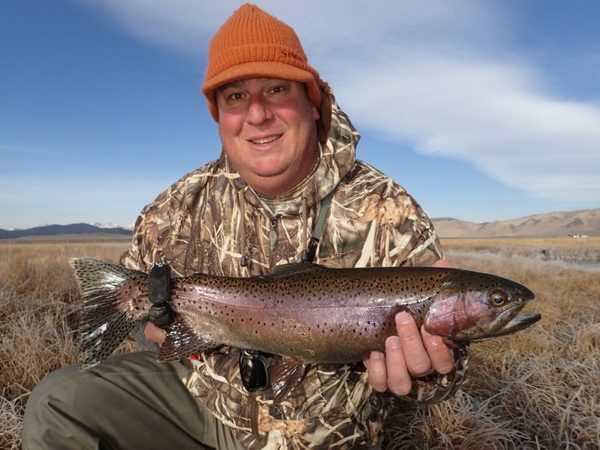 Fishing is pretty good for smaller rainbows, and dinky browns that have been recently planted. The fish have acclimated, & are eager to hit most nymphs and dries. A few holdover fish are also in the mix if you locate the deeper holes. Click on this link to read what the CDFW is now documenting as to how Hot Creek will be managed. HC has been recently planted with thousands of sub-catchable rainbows and browns.